Yesterday, the Seattle Symphony announced the highlights for next season, which will mark conductor Gerard Schwarz's 25th anniversary as the orchestra's music director. Guest conductors Kurt Masur and Robert Spano will make their highly anticipated debuts with the orchestra. You can read all of the details here in the Seattle Times and here in the Seattle P-I. Zach Carstensen at The Gathering Note posts his thoughts here. The recession has caused major problems for both the Los Angeles Opera and San Francisco Opera. According to a report in the Los Angeles Times, the LA Opera has "laid off 17 employees, or approximately 17% of its staff. It has also mandated a pay cut for all employees, averaging 6% but with higher-paid staffers taking an 8% cut." They will also cut performances from 64 to 48. The San Francisco Chronicle reports that the SF Opera will cut back on the number of performances and will scrap a planned production of Britten's "Peter Grimes." If, during the month of February, you will be attending a performance offered by Artists Repertory Theatre, Portland Baroque Orchestra, Portland Center Stage, Portland Opera, Oregon Ballet Theatre, the Oregon Symphony and White Bird, you can reuse your ticket stub to purchase tickets for any February (or later) performance at any of the other companies listed below. THE FINE PRINT: We’ll give 20% off a ticket to our production of String of Pearls for every ticket stub presented from a February performance. Subject to availability. Not valid for Opening Night (Jan 30). Must present one ticket stub from a participating Stub Savings arts organization per 20% off ticket. Must present ticket stub in person to redeem offer. May not be combined with other discounts. Not valid on previously purchased tickets. THE FINE PRINT: Take your February PBO Ticket Stub to any of the other organizations mentioned to take advantage of their offers. Very limited seats for PBO's February performances are still available on-line. No presentation of ticket stub necessary for on-line purchases. The world premiere of Nancy Keystone’s Apollo is a multimedia examination of post WWII America, exploring the birth of the U.S. space program, its employment of former-Nazi rocket scientists, and their surprising intersection with the Civil Rights Movement. The Importance of Being Earnest is Oscar Wilde’s brilliant comedy masterpiece about love, manners and mistaken identity in Victorian England. Experience the range of theatrical fare that PCS brings to Portland! THE FINE PRINT: Save your ticket stubs from any February performances at participating Stub Savings arts organizations, and redeem them for 2 for 1 tickets at February PCS Main Stage performances. Must present ticket stub in person to redeem offer, one ticket stub required for each 2 for 1 purchase. May not be combined with other discounts. Not valid on previously purchased tickets. Subject to availability. Based on the Henry James novel, this intriguing ghost story is music that has to be seen, not just heard. THE FINE PRINT: Save your ticket stubs from a performance by our participating partners and bring them to the Opera Box Office at 211 SE Caruthers, 9-5,M-F. Use them to purchase 2 for 1 tickets to any TURN OF THE SCREW performance. No refunds or exchanges for prior purchases. May not be combined with other offers. In person sales only. Lambarena’s irresistible fusion of Bach and traditional African songs have made it an international sensation. It’s the third ballet by the remarkable Val Caniparoli to enter OBT’s repertoire, and the first since 1992. The February program pairs it with the speed demon virtuosity of Peter Martins’ exhilarating Ash, and a Christopher Stowell world premiere set to the jagged, percussive rhythms of Igor Stravinsky’s The Rite of Spring. THE FINE PRINT: Bring your ticket stub from any February performance by a participating Portland arts organization to the OBT box office at 818 SE Sixth Avenue, and receive 50% off seats to Lambarena. Subject to availability. Cannot be combined with any other offer. Not valid on previously purchased tickets. THE FINE PRINT: Save your ticket stubs from this performance and bring them to the Oregon Symphony Ticket Office at 923 SW Washington Street, 10am to 6pm weekdays and 9am to 5pm Saturdays. Use them to purchase 2 for 1 tickets to any Oregon Symphony performance from March 8th, 2009 to April 6th, 2009! Get out and see as many great theatre, ballet, opera and orchestral performances in February as you can. Then bring your stubs to the Oregon Symphony and recycle them for discounts! No refunds or exchanges for prior purchases. In person sales only. Excludes premium seating in the Dress Circle. Cannot be combined with any other offer. Not valid on previously purchased tickets. Compañia Nacional de Danza 2 is an electrifying company of superb young dancers, founded by Nacho Duato, widely considered one of the world’s outstanding choreographers. THE FINE PRINT: Must be redeemed directly through White Bird - Send your ticket stubs from participating Stub Savings arts organizations with full contact information to: White Bird, P.O. Box 99, Portland, OR 97207-0099 Or fax copies of stubs to 503-244-2111 Stubs must be received in the White Bird office by Tues, April 21. Information: 503-245-1600, Ext. 201 Two tickets for the price of 1 in Price Levels 3 and 4 ($35-$20). $2.00 additional handling charge applies per request. May not be combined with other discounts. Not valid on previously purchased tickets. Subject to availability. The Cincinnati Symphony Orchestra posted $3.8 million in losses last year. Click here for the full report from Janelle Gelfand in the Cincinnati Enquirer newspaper. The crowd was standing room only in the too-small Chapel Hall at First Pres. when FourScore took the stage for their concert entitled Shut up and Sing! Songs of Protest, Pain and Rage. The group, consisting of Brian Francis, tenor (alto), Ben Landsverk, tenor (soprano), Stephen Marc Beaudoin, tenor and Ben Kinkley, baritone, are all accomplished vocalists as well as being instrumentalists; they met when they began performing together as part of Portland's prestigious Trinity Consort Early Music Ensemble, and their high level of musicianship was obvious from the first. They performed 25 songs ranging from barbershop to Palestrina's motet Super Flumina Babylonis to Cat Stevens' Peace Train and selections from Kurt Weill's Berliner Requiem to mention a few. Some offerings were more successful than others, but what is undeniable is the true boldness and diversity in the programming. Palestrina's Super Flumina--FourScore put their familiarity with early music on shining display in this difficult contrapuntal work. With dexterity of phrasing and subtle shading they wended their way through the filigreed texture. Landsverk displayed the vast range of the male voice with his amazingly high soprano, which was delicate or powerful as the situation called for. Walter Robinson's Harriet Tubman-- It can be a difficult sell for four white guys to sing an a cappella work that deals with deeply spiritual themes of despair and redemption stemming from the slave trade in America, but FourScore was never less than absolutely convincing. Stylistically speaking this was one of the strongest works: Beaudoin's soulful narrative was as sincere as could be asked for, and the accompanying singers delivered a perfect framework that allowed the true feeling behind this work to come out. It served as a powerful reminder of how songs of such strength and power in the face of tragedy are a part of all our shared heritage. Soulsters Gnarls Barkley's Crazy and Henry Purcell's Dido's Lament-- Beaudoin gave a short, fresh version of the recent pop hit as a recitative before an aria from an ancient opera, but that was part of the clever vision of this show, and the segue between the two works seemed as natural and fitting as if it had been composed that way. Some other highlights were the clever instrumentation on the fughetta of William Byrd's Delight is Dead, with Kinkley performing the bass voice on a trombone. The structure of the counterpoint seemed at times like a rickety treehouse frame bound securely with rope at the interstices; you weren't quite sure it would hold, but somehow it did, and it was great fun. They sang Civil War era soldier tunes and managed to sound like a bunch of rowdy soldiers with really good voices, and the three selections from Weill's Berliner Requiem, which could lean toward the cerebral here and there, usually had just the right touch of Weimar era cabaret to keep it engaging. They weren't afraid to use the empty spaces in between notes wisely. Not everything worked quite as intended. Henry Purcell's 'Tis Women Makes us Love plodded along, and towards the end the intonation seemed to be in such question that it was a relief when it segued into another tune. Songstress Linda Perry's Letter to God left one wanting a bit more polish. It's hard to say it was out of place on a program like this that drew from so many places and times, but it was less than satisfying. They collaborated with a number of other musicians, such as The Ahs, whose original tune Rhododendron with its cello, banjo, wonderfully folkish soprano and singers placed throughout the room was a nice touch. A group of talented young male singers from various Portland highschools, Cloud 9 gave an inspired a cappella rendition of Sri Lankan hip hop phenom M.I.A. 's Paper Airplanes, a somehow both lighthearted and serious look at immigrant stereotypes. It seemed as though this song was new to most of the audience, and judging by the amount of head-bobbing and toe-tapping going on, it was a crowd pleaser. All in all FourScore delivered an ambitious concert, by and large with true insight and panache. With a concert title that begins with Shut up and Sing! (and each half subsequently subtitled Part 1-War, Death, Women, Wine and Part 2--Civil Rights, Suicide, Peace, Home,) it was obvious that the challenge was as much to the audience to find in themselves the ability to draw meaning from the diverse palate presented them as it was about FourScore's seeming admonition to themselves to, in fact, shut up and sing. The concert lived up to its name, and the audience joined in several times throughout the afternoon. This kind of daring and imagination in programming is reflective of a growing wave that, in many diverse ways, seeks to knock down musical barriers and allow all of us to find joy in the indescribably huge world of Music. Groups like FourScore and their compatriots with whom they performed at the Doug Fir later Sunday evening are helping Portland ride the crest. I did pop into the Doug Fir for an hour or so to hear that show that Willamette Week, the Mercury and The Oregonian had been givving so much press to last week, but being sick I didn't stay long. There was a very large, diverse and curious crowd present. There was a string trio with a wailing, mysterious clarinet playing occasionally klezmeresque rhythms when I walked through the door. People sat silent on the floor, and heads all over the venue cocked in quiet curiosity when FourScore reprised the Palestrina from the afternoon show. Members of the Portland Cello Project teamed up with the Ahs and members of a number of Portland's very finest choirs in a performance that was slow and a bit puzzling to me considering how much great talent was there on the stage being under-utilized. A Celtic folk/pop group called Circled by Hounds skillfully played a few frenetic numbers that left me resisting a powerful urge to do my own poor rendition of Irish stepdancing. I left at the intermission to go home and go to bed, unfortunately missing the brand new Roxy Consort and a scaled-down rendition of Orff's Carmina Burana. What are the optimal climatic conditions for playing an instrument? Around 70 degrees, with 40 percent to 50 percent humidity. But instruments are more stressed by rapidly changing conditions than by extreme temperatures or moisture levels. Because heating systems warm air without adding moisture, the relative humidity is often as much as 30 percent to 40 percent lower indoors, even on a cold and dry day. When instruments made of wood move between environments of varying humidity, they absorb or expel moisture. The resulting expansion and contraction can crack the instrument. String instruments, such as violins and cellos, are particularly susceptible to cracking, because they are often made of two different types of wood (usually spruce and maple) that absorb moisture at different rates. Hide glue, the collagen-based sealant used to secure the pieces together, moderates the problem. It is weaker than synthetic glues and is likely to release the various parts before the wood cracks. From January 26th to February 1st, all remaining seats to OSO concerts are available for $20 or $50. This includes dress circle seating - if it's available for the concert you want. Click here for the details. Jun Iwasaki, the 26-year-old concertmaster of the Oregon Symphony, will make his debut with the orchestra in a performance of Erich Korngold’s Violin Concerto this weekend. You are now in your second year as concertmaster. How has it been going? Iwasaki - I’ve been enjoying it very much. I’m very lucky to be here and to have this position. Aside from the great orchestra and musicians I get to work with I really enjoy the city a lot, and I like to call Portland my home.. I know that you graduated from the Cleveland Institute of Music, but it would be great to know more about your background. I understand that your parents are involved in music. Iwasaki - My father, Ko Iwasaki, is a professional cellist and a soloist, chamber musician, and music professor. So I grew up listening to a lot of cello music. He would travel a lot, and through him I got to meet a lot of neat people in the music world. It was inspiring to hear him and others perform music that they loved. My dad taught at home occasionally so it was a privilege to have a glimpse into that world. My mother, Yurie Iwasaki, was a classical pianist who did a lot of teaching at home in addition to taking care of me as I was growing up and my younger brother. She would also accompany my father and do a lot of recitals with him and other musicians in chamber ensembles. My father still performs quite frequently with orchestras, not so much in the US, but with orchestras in Europe and Japan. He came to the US on a Fulbright Scholarship and studied with Leonard Rose and Harvey Shapiro at Juilliard. He was a prize winter in the Tchaikovsky Competition and the Cassado Cello Competition and has never had an orchestra job. He commutes from Dallas, Texas to Japan almost every month to teach and perform. When did you start playing violin? Was that your first instrument? Iwasaki - I started on the cello at around five years old and it lasted maybe a year. I don’t remember myself disliking the cello, but my parents say that it didn’t work for me. So, they suggested the violin, and that’s the way it has been ever since. Part of it might have been that I didn’t want to do exactly what my dad was doing. I don’t know exactly why. So I started with violin lessons when I was six. Were you trained with the Suzuki method? Iwasaki - I grew up in Illinois and my parents found a very good teacher who knew the Suzuki method and used some of the training from that method, but combined it with a more traditional way. For some reason I assumed that you were raised in Japan. Iwasaki - I was born in Tokyo, so I have Japanese citizenship. But my parents brought me to the US when I was about three weeks old because my dad was a performing artist at Illinois State University. So, I’ve never really lived in Japan. But I’m fluent enough in Japanese to survive if I were stranded there. Did you pour your life into learning how to play the violin when you were young? Iwasaki - I did a little lot of everything. Some people may be surprised, but I wasn’t one of those kids who only did violin practice hours on end. I did my practicing, but I was a normal kid. I liked sports, I liked to play video games, I did all of the usually things like going to prom and homecoming. I went to public schools and played in the school orchestra. It was at college that first went to a focused school for music. It wasn’t until my junior or senior year in high school that I thought of pursuing the idea of becoming a professional violinist. So, I got my Bachelors and Masters at the Cleveland Institute for Music and then did the concertmaster academy there as well. I was there seven years in all. Cleveland is wonderful city. When did you decide to pursue the idea of becoming a concertmaster? Was there a person or an event that inspired you? 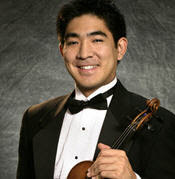 Iwasaki - I decided to pursue the idea of becoming a concertmaster somewhere in the middle of my college years. I think it was either my jr or sr year in undergrad. And to be honest it was a mixture of both seeing my teacher at work and the idea of being able to play in orchestra, have solo opportunities, and to play some chamber music too. I didn't want to pick just one thing...I wanted to do it all. And your first concertmaster job was with the orchestra in Canton, Ohio? Iwasaki - Yes, and some people still think that I was in Canton, China, but it was the orchestra in Ohio. Tell us more about the concertmaster academy. Iwasaki - It’s a unique program. I don’t think that any other school offers that kind of program. It’s training to become a concertmaster in terms of playing your music and your role on and off stage. There’s only one student in the program at any given time, and you work directly with William Preucil, who is the concertmaster of the Cleveland Orchestra. You learn the major excerpts that concertmasters have to play in a concert and for auditions. So all of those little solos that you hear in an orchestra concert, I have worked with him. You have to work on all of the bowings, making sure that there’s some sort of unity in your section and the all of the strings. You have to keep the morale up, and ask questions and sometimes not ask questions. You have to understand different conductors. Guest conductors come with their own styles, and if it’s a lot different than what Carlos does, then sometimes my colleagues look to me to lead certain things. In the academy you learn which gestures to use, when to use them and when not to use them. I try to make eye contact with a lot of people during performances. I like to do that because the orchestra for me is a large version of a chamber music ensemble. Watching the conductor is very important, but making a connection with a section that you are playing something with. It’s not just playing my part and listening to my part. It’s being aware of my surroundings at all times. I like to interact with my colleagues. And part of it is to make Carlos’ life a little easier. If he doesn’t have enough arms to cue the violins because he’s making an important cue in another section of the orchestra, then I can help him. You seem to be an animated player, your whole body is often in motion as you play. Iwasaki - I’ve always been a physical player since I was younger. I feel the music in a certain way. But I exaggerate sometimes in order to lead the section. For example, if I want to come in with a very loud entrance, then I have to show a little more than I would if it was just me alone because I’m bringing in 14 other players. They have to see how big of an entrance it is. So hopefully they will see me and come in strongly, too. It’s partly a miming thing, you have to communicate without words. Sometimes during a concert things change suddenly when the conductor decides to do something different from the way it was done in rehearsal. I have to pass that information to others without taking about it. So the concertmaster is a fun job. It’s more than just tuning the orchestra at the beginning of the concert. What kind of violin do you play? Iwasaki - I have an old Italian instrument that was made by Hieronymus Amati II. It was made in Cremona in 1695. I had it for about six years, and I love playing on it. It matches my sound. It’s sort of like finding a spouse; you need to spend a lot of time with it. Everything needs to match up. My violin has a darker color than other instruments, but it’s also warmer, too. Is this the first time that you have played the Korngold Violin Concerto? Iwasaki - I played it a few years ago with a much smaller, local orchestra. I had a lot of fun, and I love the piece, but I’m really looking forward to playing it with the Oregon Symphony because it has a large orchestra part and with the smaller ensemble, it just didn’t sound right. The way Korngold wrote it, you get to hear a lot of interesting, involved accompaniment from the orchestra. It’s not a boring piece for the orchestra. Iwasaki - Because I have already memorized it and played it, bringing a piece back isn’t as difficult, but I’ve been working on it for the last few months. Carlos has wanted to do this concerto for quite a while, and I love the music. So I’m very happy to make my debut by playing this piece with the Oregon Symphony. Iwasaki - Thanks! I hope that you enjoy the concert. The Arnica Quartet will perform a concert of works by Mozart and Prokofiev at the OHSU Auditorium this Wednesday at noon and its free. The Quartet consists of four musicians who are also members of the Oregon Symphony: violist Charles Noble, cellist Heather Blackburn, and violinists Shin-young Kwon and Fumino Ando. For this season, Ando replaces Sarah Roth, who has taken a leave of absence. More specifically, the concert program consists of Mozart's "Adagio and Fugue," K. 546 and Prokofiev's Quartet No. 2 in F-major, Op. 92. The OHSU Auditorium is located at the Old Library Building the Marquam Hill Campus (aka Pill Hill). For more information about the concert, see Charles Noble's blog posting here. Has minimalism struck a chord in Portland? By the looks of the sizable audience at the Third Angle concert on Friday night at Kaul Auditorium, it has stuck a major one (with incremental changes). In an eclectic program that paired two smaller gems of minimalism with one of the big minimalistic nuggets, Third Angle warped and rapped the ears of each listener with spirited playing that captured the beauty of each piece. A long line of last-minute ticket purchasers caused the concert to start a little late, but they were rewarded with an outstanding performance by flutists GeorgeAnne Ries and David Buck of “Piece in the Shape of a Square” by arch minimalist Philip Glass. With 14 music stand stretching almost the entire length of the stage. Ries and Buck slowly moved from right to left (from the audience perspective) with toes lightly tapping on the stage floor as they played this complicated pieces. The notes seemed to be intertwined and danced around each other in a constantly-streaming maze. The volume, meter, and emotion of the piece was a constant, yet no pattern of notes repeated exactly over the course of the twelve-plus minutes that it took for Ries and Buck to play it, so it remained fresh from beginning to end. Somewhere in the fifth stand of music, both players took a collective breath at the same time, but they might have preferred a sip of water. The pulse of this music was unrelentingly the same from the first note to the last, and I thought that Ries and Buck might falter somewhere along the way, but hey became a kind of human metronome as they moved across the stage, and that was oddly mesmerizing as well as astounding, and the audience responded to the piece with rapturous applause. Next on the program, the audience viewed Hal Hartley’s film “The New Math(s)” and heard accompanying score by Louis Andriessen. The movie combines a unique sense of humor with action as three students struggle with a math theorem and with each other in an apparent attempt to solve it. Performed by Ron Blessinger, violin, GeorgeAnne Ries, flute, Gordon Rencher, marimba, and LeaAnne DenBeste, soprano, Andriessen’s tightly wound music complimented the film’s setting (an empty academic warehouse), the Kung-fu fight scenes, and the sexually-charged undertone (eating of a crisp apple) as the three actors pursued the truth of the equation. Aside from a couple of times when the marimba overpowered DenBeste’s pure voice, the performers blended superbly. The second half of the program was devoted to Steve Reich’s “Music for 18 Musicians,” an (almost) hour-long tour de force of minimalism. The Third Angle New Music Ensemble, with supplemental musicians (including four female voices), brought down the house with an incredibly vibrant performance that involved a high amount of rhythmic intensity and an intoxicating mixture of sounds. I loved the gradual crescendos and decrescendos whenever the bass clarinets, played by Todd Kuhns, and Mark Dubac, arrived on the scene. The doo doos of sopranos LeAnne DenBeste, Stephanie Karmer, Gayle Neuman, and Catherine van der Salm were marvelously playful. Four pianos played by Susan Smith, Cary Lewis, Carol Rich, and Tomas Svoboda added to the masterful percussion battery, which was played by Jeffrey Peyton, Gordon Rencher, Luanne Warned, Brett Pascal, Brian Gardiner, and Niel DePonte. Violinist Ron Belssinger and cellist Hamilton Cheifetz gave the music snippets of lyricism, which helped to relieve some of the mind-numbing repetition. Overall, the performance by this ensemble was simply fantastic. As a side note, the audience contained a fine cross-section of Oregon's music cognoscenti. I saw composers Robert Kyr and David Schiff, conductor and composer Gregory Vajda, several musicians from the Oregon Symphony, Cappella Romana’s executive director Mark Powell, Pink Martini’s tour boss Howie Bierbaum, Oregon Symphony's public relations honcho Carl Herko, and the Oregonian's music critic David Stabler. In December the Oregon Symphony performed all of their concerts, but had to cancel one because of snow. That concert, a Happy Holiday Kids concert on December 21st has been rescheduled to take place on February 22nd at 4 pm. John Kroninger, the OSO's director of customer services, wants the December 21 Happy Holiday tickets holders to know that their seats are good for the February 22nd show…..same seats and no need to re-ticket. However, if these ticket holders need to explore options, they should call the Customer Service Center at 503-228-1353. Apparently, because of a dispute regarding the tempo, American tenor Jon Villars, in the role of Florestan, quit singing during Canadian Opera Company's public dress rehearsal of "Fidelio." Consequently, Villars will be replaced by Icelandic tenor Jon Ketilsson for opening night and the next four performances. Canadian tenor Richard Margison will sing the role for the final five performances. Click here to read the complete account in the Globe and Mail. Click here for the CBC.news version. 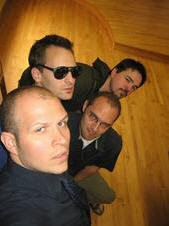 FourScore, a Portland-based quartet of male singers, will sing two shows this Sunday. The first takes place in the afternoon (3 pm) at First Presbyterian Church and the second will be held at the Doug Fir Lounge that same evening (8 pm). FourScore consists of Stephen Marc Beaudoin, Ben Landsverk, Brian Francis and Ben Kinkley, and their show is entitled "Shut up and sing! Songs of protest, rage and pain." They will perform four centuries of music from Dowland, Purcell, Byrd, Schubert and Kurt Weill to Cat Stevens, Holly Near, Linda Perry, Courtney Love, MIA and Gnarls Barkley. They might also throw in some civil war era tunes, field songs, spirituals, and hymns and more. In addition to singing, each member of the manband will play an instrument, such as the viola, piano, recorder, trombone, percussion, and banjo. I recently talked to Stephen Marc Beaudoin about the concerts, and he gave me some more information. You're show title “Shut up and sing! Songs of protest, rage and pain,” covers a lot of territory. It sounds like you’re making a big statement. SMB – You know, the only statements that are worth making are the big ones. But seriously, looking back on the past year, the concert reflects the tensions and conflicts of events. 2008 has been a wonderful nightmare of political and social upheaval. This is a good time to comment on issues from the political turmoil to the civil rights movement. How do you incorporate such a wide range of music into your show? SMB - The way we work is pretty unique. First of all the four of us have a huge range of background in terms of training and experience. Ben Landsverk plays about six instruments and he also performs with some of the top Indie bands in town and is a very fine singer and conductor. Breian Francis was the lead singer in a heavy metal band for several years and is also trained as a singer and loves opera. Ben Kinkley is a nut for barbershop music for whatever reason, and plays a few instruments. I’ve got an eclectic background as well. So I think that the range and choice of material reflects our musical interest. We feel pretty strongly that good music is good music. Whether the music was written by Linda Perry who is a great pop song writer or by Purcell who in his day was a great pop song writer, it’s just great music. In terms of arrangements, our approach is pretty broad. We want to respect to a point the intention of the composer, but also not take it as the final word. 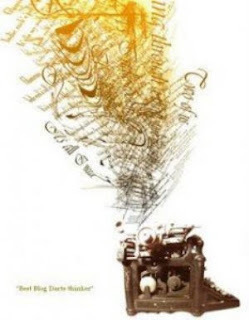 For example, the works by Purcell, Byrd, and Dowland, and any piece that is tune-centric, we usually like to play with deconstructing that tune, and play it with modern instruments, and try some new arrangements of it, or new ways of mashing it up with other music. We try to find interesting ways to take the A section of a pop song and suddenly find that it fits perfectly as a recitative for a Baroque aria. That's the type of connectivity that we are working with. Are they your arrangements… like for the Cat Stevens number? SMB – Well, the Cat Stevens tune is out in the public domain, so we have our own arrangement of it. It’s pretty simple. Sometimes we learn and rehearse by ear and do a piece on the fly and sometimes we write down. The four of us have facility enough by ear to pick up stuff and remember it without having to write it down and sometimes we go by charts. For a 21st century musician, you have to have the facility for a lot of different kinds of music. One day, you might sing a Rameau cantata and the next day sing folk tunes by Stephen Foster. So we mix it up with some four-part a cappella, and then some things are just duos or trios, and some pieces are with instruments. The four of us share our ideas and they change from week to week. We like to change our programs on the fly and keep our concerts fresh. It will be fun to see what kind of audience shows up at the afternoon show at First Presbyterian and who comes to our concert at Doug Fir. The Ahs will be guests on our show. They are an acoustic duo of banjo and cello. And Cloud Nine, an a cappella group of young men that Ben Landsverk coaches will be guests at the afternoon program at First Presbyterian. The Roxy Consort will join us at the Doug Fir show. Best of luck to you. These sound like terrific shows! SMB - Thanks! We hope to see you there. This summer, young instrumentalists can participate in a new chamber music workshop called Portland Summer Ensembles. Sponsored by Chamber Music Northwest, this new program will be led by Amy Schwartz Moretti, who is the director of the Robert McDuffie Center for Strings at Mercer University and the former concertmaster of the Oregon Symphony. Faculty members for this intensive 5 day workshop include Jun Iwasaki, concertmaster of the Oregon Symphony, Joël Belgique, principal violist of the Oregon Symphony, Nancy Ives, principal cellist of the Oregon Symphony, and concert pianist Susan Smith. Also, the The Miró Quartet will provide coaching for participants. The deadline for applications is January 31st. For more information about Portland Summer Ensembles click here. I really enjoyed hearing Itzhak Perlman, Yo-Yo Ma, Gabriele Montero and Anthony McGill play at President Obama's inauguration (click here for the New York Times report). Does that mean that we'll hear some chamber music at political events here in the Northwest in the near future? That would be a welcome thing. I used to see former Mayor Bud Clark and political powerhouses like Bill Naito at Oregon Symphony concerts during the 1990s, yet I've not seen many of Oregon's top tier politicos at classical music events in the last ten years. I think that Oregon's politicians are missing out on the real musical action in Oregon. Their lack of interest in the fine arts is part of the reason why Oregon remains in the background - despite the fact that we have many artistic ensembles that can compete with the nation's best. Well, maybe the politicos will show up for the Perlman concert with the Oregon Symphony in late February and early March. They missed the fantastic Gabriele Montero performance with Portland Piano International that took place in October. Portland's Third Angle New Music Ensemble will perform a concert of big, minimalist works this Friday at Kaul Auditorium. Paul Griffiths defines Minimalism as a "Term normally applied not to music whose sounds really are minimal but rather to that based on repetition in regular rhythm of chords or simple figures, as in the work of Reich, Riley and Glass." Griffiths goes on to say that Minimalism is "Essentially US in origin, and surely related to rock music as well as to non-European traditions..." So, I encourage you to celebrate an American musical form and President Obama's inauguration by attending Third Angle's concert. "Music for 18 Musicians" by Steve Reich, which he wrote for a cello, violin, two clarinets and bass clarinets, four pianos, three marimbas, two xylophones, a metallophone (aka vibes), and four women's voices (provided by members of Cappella Romana). "Piece in the Shape of a Square for 2 Flutes" by Philip Glass will be performed by GeorgeAnne Ries and David Buck. According to Ron Blessinger, Third Angle's artistic director and head honcho violinist, he title of this pieces refers to Erik Satie's "Piece in the shape of a pear," which was Satie's response to criticism from Debussy that his music had no structure. "This is the first piece that Glass wrote in this minimalist style. He was inspired after attending a Reich concert. This piece is 32 pages non-stop for the flutists. They have to use 15 music stands that we will put in the shape of a square. And they will proceed to play with the square of music stands." "The New Math(s)" - a musical score by Louis Andriessen (OK he's Dutch not American) to the film of the same name by Hal Hartley. Andriessen wrote this piece for flute, voice marimba, and violin. Blessinger also said that "This is the 50th anniversary of what many people believe was the first minimalist composition. That was string trio composed in 1958 by La Monte Young. So the Minimalism isn't so new anymore. It's just plain great stuff." Third Angle has some great videos about Reich and others on its blog here. Christopher Mattaliano, general director of Portland Opera, recently announced the lineup for its 45th season, which has the theme of "Love and Marriage." The most anticipated opera next season will be west coast premiere of "Orphée" by Philip Glass. This new opera, written in 1993, is based on French film maker Jean Cocteau’s fascinating 1949 retelling of the Orpheus myth. Also on tap for the main stage (Keller Auditorium) are Puccini’s "La Bohème," Mozart’s "Così fan tutte," and Rossini’s "The Barber of Seville." Of special note to Portlanders is the engagement of Angela Niederloh as Dorabella in "Cosi fan tutte." For more information about the shows, including dates and casts, click here. Double bass virtuoso and composer Edgar Meyer put on a dazzling display of his talent in a concert with the Oregon Symphony on Saturday evening. Meyer, who is well-known in Portland through his appearances at concerts presented by Chamber Music Northwest, created some pure musical poetry with the orchestra while playing Giovanni Bottesini’s Concerto No. 2 and his own Double Bass Concerto No. 1. But even though Meyer’s breathtaking musicianship was a highlight, the orchestra was equally impressive with a magical performance of Charles Ives’ “Central Park in the Dark” and a captivating interpretation of Antonin Dvorak’s Symphony No. 6. Tilting the bass towards himself so that he could reach to the lowest part of the strings, Meyer used nimble dexterity to coax an astonishing variety of sounds from the Bottesini piece. Meyer’s pinpoint accuracy over a six-octave range during the cadenzas delivered soft, velvety tones, high notes that whistled crystal clear, and basso profundo ones that rumbled into the darkness of the hall. Mesmerizing also were the sudden stops and starts, lilting passages and speed-demon episodes that caused the audience to break into applause after the first movement, and erupt with applause at the very end of the piece. 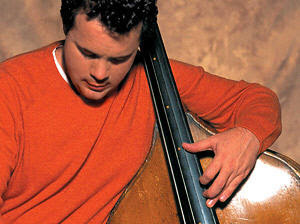 Meyer’s First Double Bass Concerto with its bluesy, bluegrass feel was a wonderful contrast to the Bottesini. I enjoyed how his wandering bass line in the first movement was punctuated by commentary initially from the lower strings and then by other members of the orchestra. The pizzicato strings. juxtaposed with the languid solo bass in second movement, created a contemplative, almost melancholy atmosphere. The third movement danced with barnyardy, bluegrassy spontaneity that made me tap my feet (discreetly) and wrapped up the piece with zest. The concert opened with Ives’ “Central Park in the Dark,” a moody and slow moving number that gave us a glimpse of Manhattan in the evening sometime in the 1890s. The strings created a mysterious fog of tone, while clarinetist Todd Kuhns and other members of the woodwind section would place a smooth, gentle tone on top and then disappear. Later, the piano, percussion, brass, and clarinet would briefly interrupt the fog with ragtime-like ramblings – as if from a neighborhood bar. Overall, the orchestra did create a sense of the world in which Ives lived, and it’s still remarkably close to what we can experience today. After intermission, the orchestra gave an outstanding performance of Dvorak’s Sixth Symphony. This under-appreciated work contained all sorts of interesting themes and sonorities that the orchestra, under the masterful baton of Carlos Kalmar, played fearlessly with conviction. Highlights included the tempestuous ending of the first movement (which resulted in scattered applause from the audience), the noble theme in the second movement, the rustic Czech dances in the third, and the intoxicating, fast fugue in the fourth. The orchestra deserves the highest marks for this performance, and it would be difficult to single out anyone, but I really liked the way that principal bassoonist Carin Miller and principal oboist Martin Hebert played together as well as how principal flutist David Buck and assistant principal flutist Alicia DiDonato Paulsen played like a matched pair. As an additional, welcomed surprise, Meyer played with the bass section and that seemed to make the music even better. I really liked Meyer’s congeniality and how he shook hands with all of the basses after the piece was over. What a grand thing! Bravo! Vancouver will present a chamber music concert this coming Sunday at 3 pm. I wrote a preview of the concert for The Columbian newspaper. The preview didn't include the names of the musicians involved in the concert, so I've listed them here (from the press release): Maria Manzo, Piano; Dale Tolliver, Cello; Michael Kissinger, Clarinet; Brian Bennett and Sarah Watts, Violin; Miriam Ward English, Viola; Victoria Racz, Oboe; Jen Harrison, French Horn; Anne Kosanovich-Brown, Bassoon; and Dan Schulte, Bass. Northwest Reverb is the recipient of a Premios Dardo Award courtesy of Bob Kingston at dramma per musica. This award has taken the blogosphere by storm due to its chain-mail growth pattern, and on behalf of this blog, I'm accepting it and will place it on the virtual wall with all the other honors that Northwest Reverb has received. 3. Remember to contact each of them to let them know they have been chosen for this award. As part of an experiment Lorin Wilkerson, my cohort in crime here at Northwest Reverb, and I attended the same Vancouver Symphony concert yesterday afternoon and wrote reviews of it. I thought that Lorin would attend the concert this evening, so I didn't bother to look for him in the audience. In any case, I wrote a review for The Columbian newspaper, which is posted here, and both of us came away from the concert with very similar views. Additional note: when I return home from the VSO's afternoon concerts, I have just one hour to write a review; so its' a real race for me to get it done. My article about the upcoming Vancouver Symphony concert, featuring Dawn Weiss, the former principal flutist with the Oregon Symphony, appeared today in The Columbian. There a minor gaff in the article. The Trillium Wind ensemble is a Portland-based group and have nothing to do the the same-named ensemble from Tennessee. My editor accidentally introduced that error. 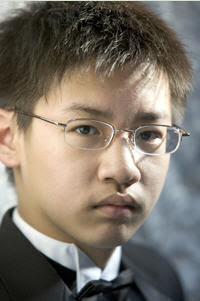 Although he’s too young to get a driver’s permit, Conrad Tao has a command of the piano that is way beyond his years. The 14-year-old prodigy came to Newmark Theatre at the last minute in place of Polina Leschenko, who had to cancel her Portland Piano International recital appearance because of a serious knee injury. Looking relaxed and remarkably calm, Tao delivered a thrilling concert on Sunday afternoon in a program of music by Beethoven, Corigliano, Rachmaninoff, and Chopin, plus one of his own compositions. Of course, many of us in the audience expected an unusually high level of technical expertise from Tao, but he made a fantastic artistic impression as well. Starting his concert with Beethoven’s Sonata No. 23 (“Appassionata”), Tao quickly delved into the music and found a deeper level, taking us on a journey through the emotional turmoil of this much beloved piece. The impetuous moments were terrific as were the quiet passages. Tao never overstated his playing, yet kept the audience fully engaged. Spontaneous applause erupted after the first movement, and several hearty rounds of appreciation broke out at the end of the piece. On the heels of Beethoven, the next number was Tao’s own piece called “Fantasy-Sonata,” which he completed last year and premiered in Mexico City and at the Verbier Festival during the summer. The “Fantasy-Sonata” is a very sophisticated piece in four movements that teased our ears with a constant blend of harmony and dissonance, tempo and rhythmic changes, big, thumping sounds that almost slap us and gentle, small ones that flicker briefly. The moods were at times playful, then determined, then angry, and later sarcastic before ending with a feeling of triumph. I enjoyed the piece and would like to hear it again someday. The second half of the concert began with Corigiliano’s “Etude Fantasy,” which Tao played with panache. This set of five etudes had lots of high points, but I liked the first etude, written for left-hand solely, most of all, because it created a satisfactory atmosphere of languor and mystery. Each etude developed its own character and enveloped the audience with all sorts of intriguing combinations of sounds. Next on the program came two movements (No 1 and No. 4) from Sergei Rachmaninoff’s “Six Moments Musicaux.” I enjoyed the large emotional range and the many colors of the first Moment, and Tao played both pieces as if he had grown up with them. I would have enjoyed the second piece, but a very loud hearing-aid from someone in the audience interfered. The program ended with Chopin’s “Andante spianato et Grand polonaise,” which Tao performed brilliantly, finding all sorts of nuances, and making the music sing. The audience responded immediately with a standing ovation, and Tao performed an encore, Liszt’s “Hungarian Rhapsody No. 11,” which was very fast and devilishly tricky. I heard a big buzz in the lobby after the concert about Tao’s sensational performance, and he seems to have a terrific future ahead of him. Of course, with prodigies like this, who knows what will happen. PPI’s artistic director, Harold Gray, told me that he had tried for the past two years to schedule Tao for a recital, and this time, because of the cancellation, everything worked. I hope that Tao will be able to return in the future. He is definitely someone to watch. Seattle Opera dove into the luxurious waters of Bizet’s “Pearl Fishers” on Saturday evening and came to the surface with a beautiful gem that needs just a little more polishing. 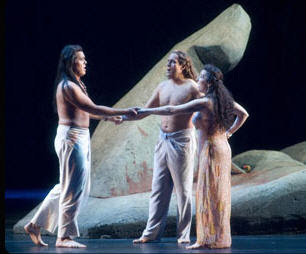 Some unsure entrances and some moments when the orchestra overpowered the singers created a few rough spots that reduced the luster of this opera somewhat. But the outstanding acting, scenery, choreography, and singing by soprano Mary Dunleavy, who was making her debut with Seattle Opera gave this production plenty of enchantment. Dunleavy, was exceptional in the role of Leïla, the priestess who breaks her vow of celibacy because she falls in love. Dunleavy’s voice has an expansive palette colors that heighten the emotion whenever she sang. Whether she feathered her prayers to the heavens, found joy in her lover’s embrace or spilled venom on the head of a powerful man who wants her, Dunleavy can do it all and make it look natural. As Nadir, the hunter and lover of Leïla, tenor William Burden sang with grace and conviction, but needed more volume when he sang from the back of the stage. His singing of the demanding aria “Je crois entendre encore” with its exposed high As, Bs, and Cs faded too much at the end. Christopher Feigum cut a striking figure as Zurga, the chief of the fishing community, and his gorgeous baritone was a pleasure to hear. However, a more menacing tone in his voice would’ve helped in the scenes when he had to threaten and demand. Feigum also needed more power when he was not at the front of the stage. Bass Patrick Carfizzi’s Nourabad, the high priest, did have plenty of vocal heft (except for the lowest notes) and had no problem invoking wrath. Perhaps the orchestra, under the baton of conductor Gerard Schwarz, could have played more softly for some of the singers. There seemed to be some hesitancy in the chorus a couple of times in the first act and the orchestra didn’t always gel together, but, all in all, the sound was very satisfying. Set in Sri Lanka in a bygone era when ocean-side villages were based on the pearl trade, this production benefited from scenery, designed by Boyd Ostroff, which wonderfully evoked the mystery of the orient. The painted scrims conveyed islands with steep mountains that deep bays. In the opening scene the head from a large statue of Buddha dominated one side of the stage while the other displayed a set of steps carved into a cliff. The transparency of the sea scrim was especially effective when the fishermen would dive and swim across the sea that extended from the proscenium to the stage floor. The costumes, designed by Richard St. Clair, also conveyed the orient. Men wore wrap-around pants and the women skirts flowed well. The scenery and costumes were originally executed by and for Philadelphia Opera, and they were highlighted brilliantly by lighting designer Neil Peter Jampolis. The stage direction by Kay Walker Castaldo (in her debut with Seattle Opera) was splendid in every respect, from the movement of the chorus to each principal singer in the production. The imaginative choreography by Peggy Hickey picked up on gestures that are common in Hindu imagery, and that enhanced the production as well. Principal dancers Bobby Briscoe and Lisa Gillespie were superb and fun to watch. The Takács Quartet will perform two concerts next week as part of the Friends of Chamber Music series. Click here for details on their concert programs. 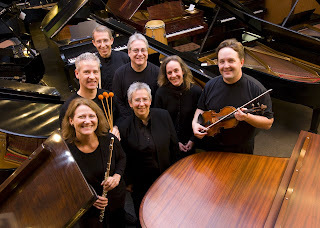 They will also give a master class with a chamber ensemble from Portland State University on Tuesday, January 13 at 12 p.m. at The Old Church (1422 SW 11th Street). The class is free and open to the public. James Palermo, who has had quite a bit of success as the artistic and general director of the Grant Park Music Festival in Chicago will become the new president and CEO of the Colorado Symphony Orchestra. During his 14-year tenure at Grant Park, Palermo was instrumental in the development of the Jay Pritzker Pavilion in Millennium Park. He will probably play a big role in the Colorado Symphony's intention to rennovate its current home, Boettcher Concert Hall, which is noted for its awful acoustics. You can read about the Palermo announcement on the CSO home page. In the meantime, the Grant Park Music Festival (where Carlos Kalmar conducts during the summer) will be looking for a new head honcho. A last minute cancellation by Russian pianist Polina Leschenko because of a serious knee injury may turn into a good thing for Portland Piano International, because Leschenko is being replaced by the young sensation Conrad Tao, who, though only 14 years old, has taken the piano world by storm. I just found a review by critic Joshua Kosman in the San Francisco Chronicle that supports Tao's amazing ability. Tao's program this Sunday and Monday features a composition that he has written. He was born in Urbana, Illinois and started playing the violin a age 3 and piano at age 3 and a half. For more on Tao and his upcoming recital in Portland, click here. Yes, this is the real deal. Edgar Meyer, one of the biggest names in the classical music world, will teach a master class at 4 pm, January 15th at the Community Music Center. The 48-year-old double-bassist and composer has won a Grammy Award, the Avery Fisher Prize, and the MacArthur Foundation “Genius Grant” for musicianship. Meyer is in Portland, because he will perform with the Oregon Symphony on January 17, 18, and 19. Priority seating for music students age 6 to 18 should call the Community Music Center at 503-823-3177 to reserve a seat. Reservations for the general public start on Monday, Jan 12 at noon. Admission is free, but a donation of any amount will be gratefully accepted by the Community Music Center, which is located at 3350 SE Francis Street in Portland. Meyer’s class is sponsored by the Community Music Center and the Oregon Symphony. Count your lucky stars if you get the chance to study with him. The Detroit Free Press reports that the Guarneri String Quartet is retiring from the stage after 45 years. The GSQ consists of John Dalley, Michael Tree, Arnold Steinhardt and Peter Wiley. Composer-conductor Greg Steinke, and composer-artist Dan Senn will present lecture-demonstrations covering their recent works at Waterhouse Studio on Monday, January 5, at 7pm. The presentation is free and part of an ongoing series by Cascadia Composers. Location: 990 NW 161st Terrace, Beaverton. Just off highway 26, only 8 minutes from downtown Portland. Mass Transit: If you arrive at the Merlo Station between 6:30-6:55pm, call 503 466-0012 and someone will pick you up and then return you later (about 10pm). Baby sitting: If you have a small child, or two, expert care will be provided. For more information see the Cascadia Composers web site. Here are my favorite concerts that I've been to this year. I chose from many different styles and for different reasons. These aren't (at least not in every case) the most technically precise concerts I went to, but performances in the "Classical" genre (whatever that actually means) that were particularly enjoyable to me for a variety of reasons. A difficult but fun exercise, given the many magnificent (and otherwise) concerts that I've had the privilege to attend this year. #4 Wordless Music. Thursday, April 17th at Holocene and Friday, April 18th at The Old Church. Two nights of ambient electronica interspersed with classical music, from works by Shostakovich and Chen Yi commemorating hideous tragedies to the spare, serene minimalism of Arvo Part, the whole project was a fascinating and meaningful study into the concept of eradicating boundaries between very different worlds in art music. #3 Verdi's Aida, Portland Opera, Keller Auditorium, mid-May. Lisa Daltirus gave her all (a tremendous 'all' it was) in the title role of Verdi's masterpiece. I loved the gargantuan golden eagle and the clever ways this sparse setting was used throughout the night. Keith Miller's Ramfis and Greer Grimsley's Amonasro also stood out. The pageantry of grand opera never grows tiresome, and this was great fun to see, even without an elephant. #2 Tie: Cappella Romana, 'The Heart of Kiev," Friday, October 17th St. Mary's Cathedral. William Byrd Music Festival (Sunday, Aug.10th and Sunday Aug 24th) St. Stephens. In both cases, top notch vocal talent and the deeply intuitive scholastic commitment of guest directors Mark Bailey (CR) and Richard Marlow (WBMF) gave these concerts a feeling of special power and directness. On the opening night of the festival, guest keyboardist Mark Williams teamed with musicologist Kerry McCarthy to present a look into the life of William Byrd through his keyboard music. All three concerts mentioned here were special treats for the fan of music history. #1 Portland Baroque Orchestra 'The Italian in Europe.' Friday March 14th First Baptist Church. It should come as no surprise that most of my favorite concerts come from the archives of early (pre-1750) music, considering the special love I have for this immense genre. When Rinaldo Alessandrini of the Concerto Italiano showed up to lead the PBO in a concert showcasing the finest examples of the Italian Baroque, the result was nothing less than sublime greatness, an examination of all that is best in live historically informed performance. I was also somewhat personally proud of the fact that the PBO (no slouches when it comes to music history) chose to link to my review of this concert here at NW Reverb for some weeks afterward. Another sterling concert by the PBO was Nicolas McGegan's visit to town to lead 'Pergolesi, Naples, and Julius Caesar.' If you love baroque sopranos, please--don't miss Yulia Van Doren the next time you have a chance to see her! Perhaps as meaningful are the groups that I'm looking forward to hearing more of this year: In Mulieribus (I'm terribly sorry to have missed their Christmas concert), La Stella Early Music Ensemble, Fear No Music, Third Angle, Seattle Opera, and of course all my usual favorites. I'll be attending the William Byrd Festival again, and look forward to hearing more of the Vancouver Symphony as the beginning of my mission to hear as much live Shostakovich as I possibly can this year. On a sadder note for 2008, I bid the fondest of farewells to the Cascade Festival of Music in Bend, and event I've enjoyed for about 25 years. It was originally founded by my friend and former music professor Dr. Charles Heiden, in whose newest endeavor I wish him the best. The capacity audience at Newmark Theatre was totally engrossed in Angela Hewett’s performance of Bach on April 3. Portland Piano International presented Hewitt in two concerts as part of her World Bach Tour in which she traveled to 40 cities around world to play all 48 Preludes and Fugues from Bach’s Well-Tempered Clavier. I heard the second of the two concerts in which Hewett astounded us with her mesmerizing playing of 24 pieces - all from memory - from Book II. The Oregon Symphony ’s performance of Mahler’s 9th Symphony on April 29 will stay with me for along time. The orchestra under its music director Carlos Kalmar plumbed the depths of this demanding work with intensity, technical veracity, and artistry, making this concert very emotionally rewarding. I would’ve liked to have heard the orchestra play this piece on each of the three nights that it was presented. I loved the lively concert shared by the Imani Winds, The Miami String Quartet, clarinetist David Shifrin, and pianist Shai Wosner on July 26 as part of Chamber Music Northwest’s summer festival. The program consisted of Roberto Sierra’s “Concierto de Cámera,” (a newly commissioned work), Leoš Janácek’s “Mládí,” and Robert Schumann’s Quintet in E-flat major for piano and strings. Most of the performers were young, and all were totally committed to the music — so much so that I had to purchase recordings afterwards. Portland Opera’s “Fidelio” was an outstanding production that combined powerful singing by a very strong and talented cast with a fine orchestra conducted by Arthur Fagen and made effective use of a contemporary prison setting. With Lori Phillips in the title role, Jay Hunter Morris as the wrongly imprisoned husband, Greer Grimsely as the evil prison warden, this opera had plenty of verve to make it relevant. Jeff Payne changed my mind about Olivier Messiaen’s piano music at a Fear No Music concert on September 21st at the Community Music Center. Even though he didn't have a top-notch piano at hand, Payne played brilliantly in his performance of selections from Messiaen’s “Vingt Regards sur l'Enfant-Jésus.” The three solo pieces were “Le basier de l’enfant- Jésus” (“Kiss of the infant Jesus”), “Regard de l’Esprit de Joi” (“Gaze of the Spirit of Joy”), and “Noël” (“Christmas”). The other performances at the concert were also exceptional (click here for the entire review). Happy New Year to all the music lovers who read Northwest Reverb and help make Portland's art scene such a thriving community. The Dawn Upshaw concert has been postponed until March 3rd - due to illness. The Friends of Chamber Music is sponsoring a concert by acclaimed soprano Dawn Upshaw with pianist Gilbert Kalish at the Newmark Theatre (in downtown Portland). The recital h as now been scheduled for Tuesday, March 3rd. The most popular posting was the review of Portland Opera's production of Rhodelina. The second most popular posting the interview of Portland Youth Philharmonic's new conductor David Hattner. The third most popular was the review of Portland Baroque Orchestra's new recording of Vivaldi's "Four Seasons and Opus II." The posting that caused the most visits (166) in one day was the review of a Chamber Music Northwest concert in which one of the audience members puked her dinner onto my back.